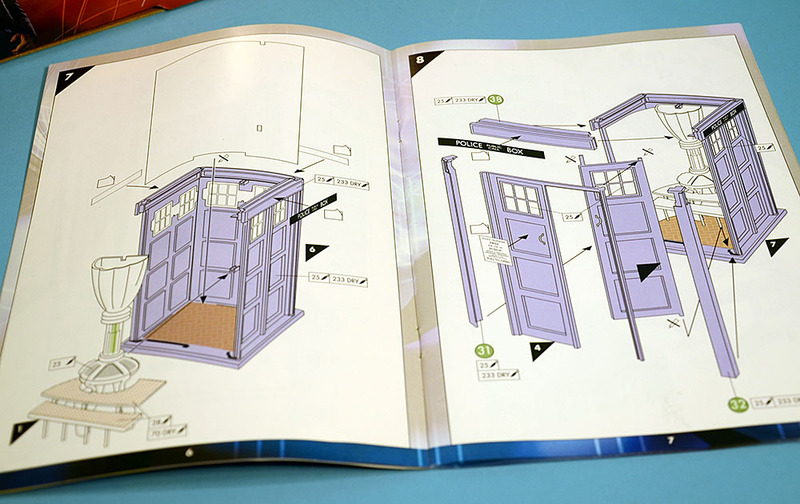 Back-of-the-box text says: “The TARDIS looks like a small wooden box on the outside...” But there’s no mention of its British police box origins. 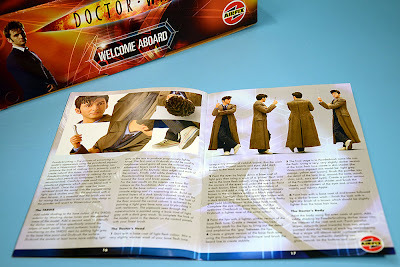 Comprehensive instruction booklet and spreads. The Welcome Aboard kit is to 1:12 scale, with the TARDIS (Time And Relative Dimension In Space) - aka the BBC TV British police box lookalike - standing 240 mm (9.5 in) high when built. 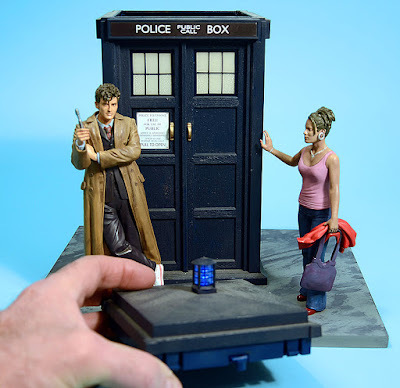 Accompanying it are two same-scale figures, Doctor Who and his assistant, Martha Jones. 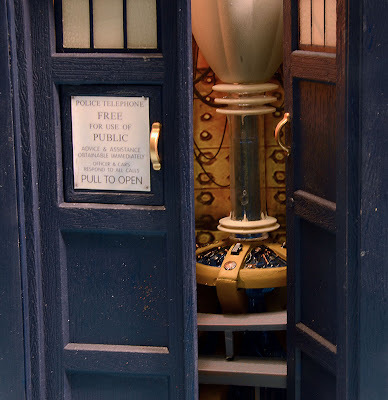 The component count for the time-and-space-machine stands at 41 parts, including the roof, which has an excellent built-in sound and light unit. The Doctor figure accounts for another 30 parts (including his Sonic Screwdriver) while Martha makes up a final 16 parts. Opening the door reveals the control console within. The left-hand ‘free for use of public’ door also opens. This first Airfix Doctor Who kit depicts the episode when the 10th Doctor first met Martha Jones, and we have very detailed figures of the actors who played these roles at the time, David Tennant and Freema Agyeman. This is also the most detailed TARDIS kit to date. 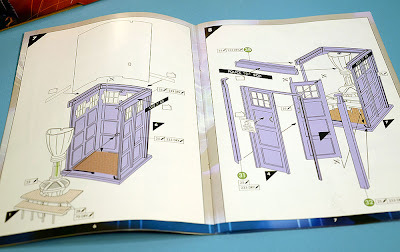 Externally, it is a standard-issue British police box, but Doctor Who’s personal box has an interior far larger than it ought to be - and that was quite a challenge for Airfix, given the limitations of our meagre three dimensions. The roof is largely pre-assembled, only the cage around the lamp is a separate part. The sound chip and light unit are built in. Still, Airfix tried hard. You get a fair semblance of the main console, revealed when the door is pushed open. 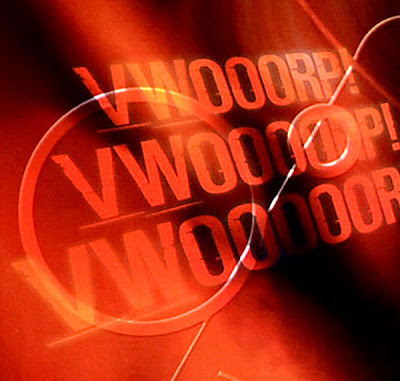 And, as a nod to ‘play value’, the opening of the door triggers the built-in sound and light show. In this case, the Airfix team really did their homework in developing a sound chip carrying a recording of the classic TARDIS materialisation-noise, as developed by the BBC Radiophonic Workshop way back in the 1960s. And there’s a small LED to accompany the audio, allowing the rooftop blue lamp to flash realistically. All in all, these are satisfying extras that give the kit a real lift. 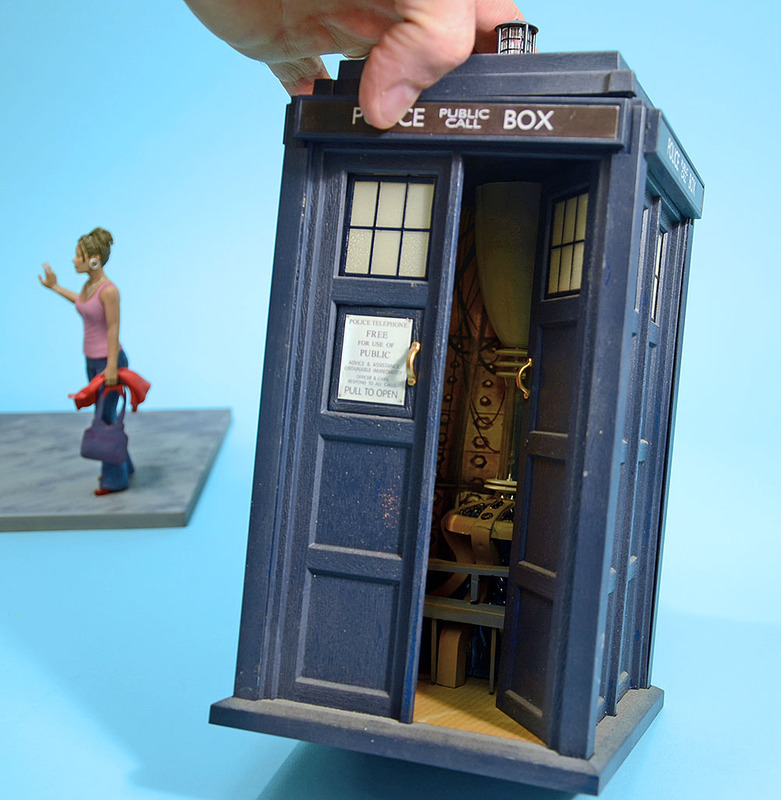 The colour of the box as built here is a match to the ‘reel’ TV TARDIS - it’s the shade I chose and painted on the filming FX miniatures that I’d built, and which was used for most of the model filming over the years. It is Humbrol MC8, originally one of the Master Modeller Enamels range - and rather conveniently, I still have a tinlet. The current equivalent shade is number 104. 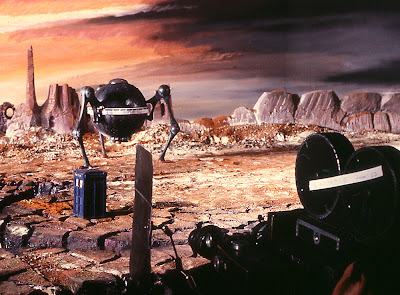 There is also the interesting thought that if this kit had existed when we were doing traditional model filming way back when, we almost certainly would have used this kit. Why spend time creating from scratch, when you can go and buy one? A similar situation applied to the Daleks, when kits from Sevans Models were used for a ‘mass destruction’ scene. 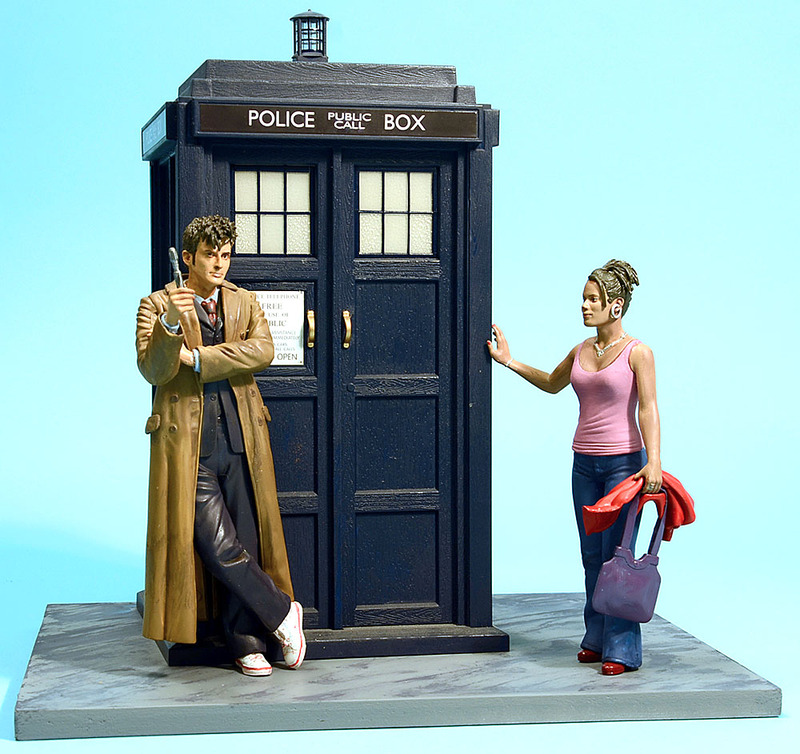 The completed model. I added the base, so the figures had something to stand on. 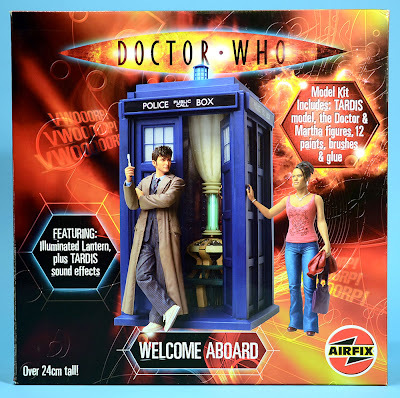 This Airfix kit, and its companion ‘Daleks in Manhattan’ are no longer on sale, but they do turn up on auction websites, though beware the high prices sometimes asked. 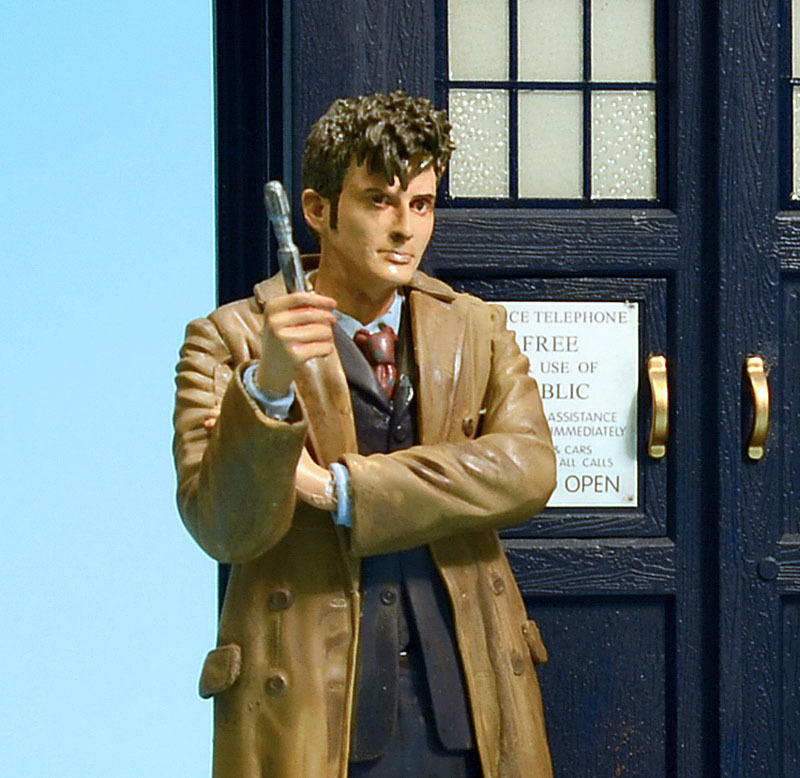 Both are extremely detailed kits, though that’s nothing to complain about. 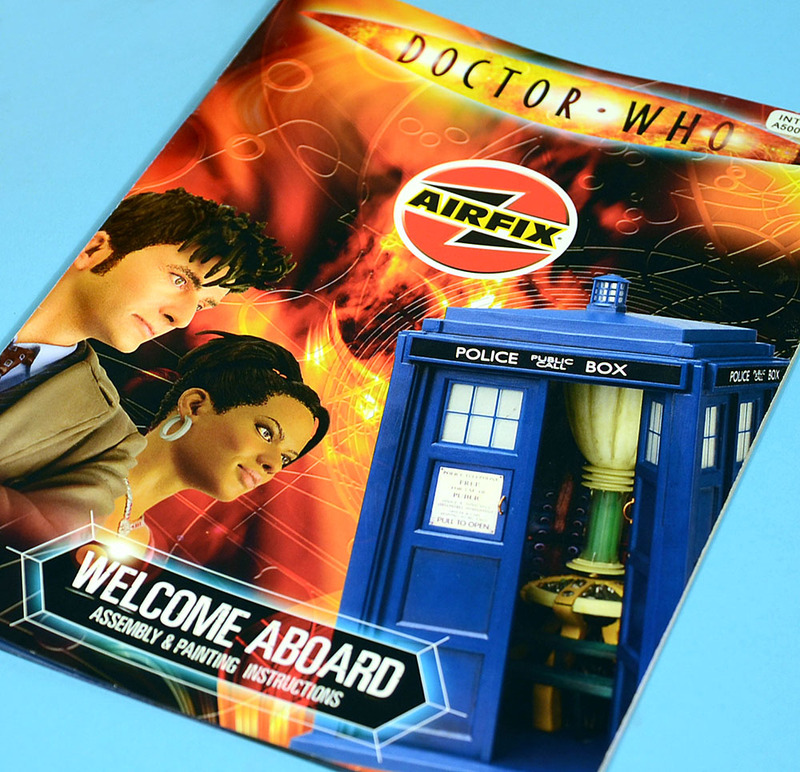 However, I always felt that Airfix aimed these at the wrong type of modeller, as they appeared in the catalogues alongside Shaun the Sheep – not that Shaun doesn’t appeal to more experienced modellers - but these Wallace and Gromit spin-off kits were definitely on the simple side, so ideal for those new to the hobby. 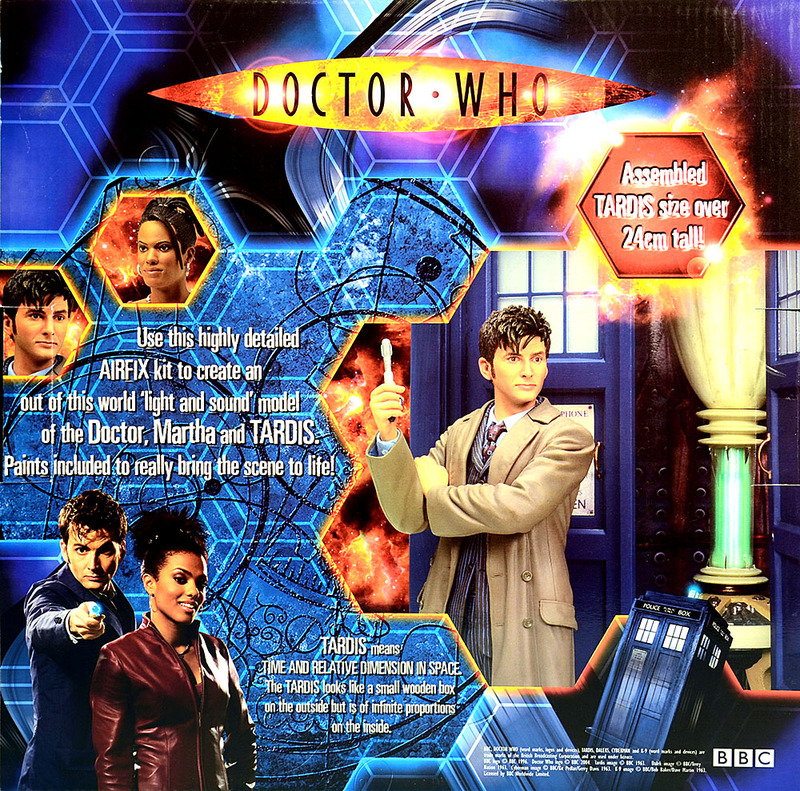 The Doctor Who kits, though also spinoffs from BBC TV productions, and including brush and paints, were at the opposite end of the kit spectrum - their mix of vinyl and styrene components, and complex painting requirements were guaranteed to stretch the skills of even advanced model-makers. 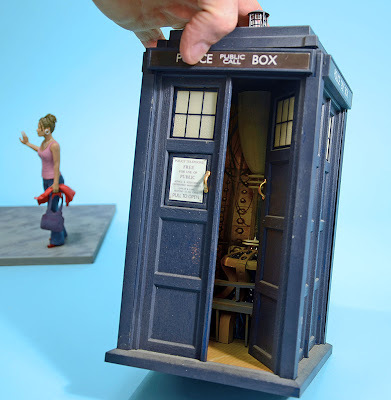 Airfix interpretation of the TARDIS noise!